Much to the disgust of many frequent flyers, Thai Airways is still using the Airbus A300 on it's domestic and some regional routes. Most people think they are very OLD aircraft, and yes, when compared to say a 777 or A330 they do indeed seem a bit dated. What many people don't realise though is that a large number of Thai's A300-600R fleet are only 12 years old, delivered in 1998. Some of the older models are built in the late 80s though and the business class cabins on any of them leave much to be desired. But for a 1 hour hop on a domestic flight in Thailand they are quite adequate. Although there are not many A300 operators around now a days, there are many Boeing 767 operators and those aircraft are of similar age, look at the Qantas Boeing 767 fleet for example. Myself, I still enjoy flying on the A300, they are large and comfortable and quite suited to Thai's domestic operations. Today I am taking a trip on the A300-600R from Bangkok to Phuket and return in economy class. Welcome Aboard!! 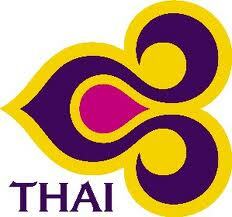 The first leg today will be operated by HS-TAX, an A300-622R delivered to Thai Airways in December 1998. Actually, I have flown on this aircraft once before, between Don Muang and Khon Kaen. I remembered that she had an interior colour scheme quite similar to the more modern aircraft in the Thai fleet. Boarding today was right from the end of Concourse A at Bangkok Suvarnabhumi International airport. The flight this morning was not full, it is the second departure of the day to Phuket. I was hoping to get the earlier Boeing 747-400, but that flight was sold out as is often the case with many transit passengers coming in very early in the morning from around the world and heading directly to the sun and fun in Phuket. Boarding commenced a few minutes later than I would have expected, I waited until the masses had queued up before making my way on board. Today I was seated in the rear economy cabin with a window seat on the left. I had requested a seat with a spare one beside it when I checked in (back in Melbourne the night before). Fortunately for me the seat beside me remained vacant and I managed to spread out. The Captain announced we would be delayed 15 to 20 minutes awaiting some connecting passengers. It was quite hot and stuffy on board and a lot of passengers were using whatever they could as fans to keep cool. There were no overhead air vents installed on this aircraft. After about 15 minutes doors were closed and we were on our way. connecting passengers arrive, let's go! The safety video was shown on the rather old looking projector and also the CRT screens scattered around the cabin. We pushed back and made our way over to Runway 19L. Although the aircraft is fitted with overhead screens and projector, there is no in-flight entertainment available on Thai domestic flights. I believe this is the case even on aircraft with AVOD seat-back video operating on domestic routes. The Airshow moving map display is presented though so you can track the flight progress. The lack of in-flight entertainment does not really worry me as all Thai domestic flights are about 1 hour (with the exception of Chiang Mai-Phuket). Thai have a snackbox type service on domestic flights in Economy class so service is very quick. Today we got a snackbox with sandwich, juice and piece of fruitcake. This is followed by tea, coffee, water and I did notice Coke was available as well. The tea and coffee is offered again at least once possibly twice which is nice. All perfectly adequate for a flight of this length really. So it wasn't long before we started out descent into Phuket. It was very hazy most of the flight, fairly typical I think for Thailand. Flying conditions were mostly smooth though and the seatbelt sign was left off until quite late. We made a smooth touchdown on Runway 27 and taxi'ed to the gate. As we arrived at the gate there was the usual mass rush for the exit. Another 'smooth as silk' flight completed. It was time to go to the international luggage belts (I had come in from an International connection), collect my bag and check-in again to go back to Bangkok. Confused? Well, I just like to fly for no apparent reason so I was heading straight back to Bangkok just 90 minutes after arriving in Phuket. Fortunately my bags came down the belt in good time and I took the elevator back up to Departures. The Star Alliance gold check-in zone was empty and I was promptly checked in for TG206, another A300 service to Bangkok. I had a window seat in the forward economy cabin this time. With my boarding pass in hand I proceeded to the Thai Airways lounge which was almost empty. The lounge was nice enough, with sandwiches and hot pastry type snacks available as well as a wide range of non-alcoholic drinks. WiFi was available as well so I decided to catch up on emails and Facebook! After an hour of snacking and drinking and using the internet my flight was called so I left the lounge to board HS-TAH. A much older example of the A300. This one delivered new to Thai in 1989. As soon as you enter you can tell, this is an older bird, the patterns on the walls give it away! Very 1980s! The lunchtime service to Bangkok was almost completely full and unfortunately the seat beside me was occupied. I was starting to feel pretty tired at this point and I settled in to my seat for the 1 hour hop back to Bangkok. We pushed back right on schedule. I dozed off for most of this flight but service consisted of the usual snackbox. This time it had a roll with a thai curry type filling. It was actually quite tasty! There was quite a few high level storm clouds around which we managed to divert around quite nicely during the cruise. The captain sure kept it 'smooth as silk' for us all. Thankyou Captain! It was so smooth I fell asleep until late in the descent. The southern runways were active today which means you must fly north of the airport and turn around and come back in. Today though we flew much further north than usual, I presume it was Air Traffic Control spacing out the arrivals into Bangkok. We flew low and level for quite some time before coming back to land. A few passengers looked confused that we were flying so low for so long. Eventually we made a very smooth touchdown. We pulled in to Gate B5 on schedule and it was off to the domestic baggage claim zone and into a cab. I hope you get a feel for Thai domestic flying from this short report. The A300 cops a lot of criticism but I have to say I really enjoyed these two flights. The A300 still has a few good years left in her yet, would be nice if Thai decided to update the business class cabins though. Great job! Love it! I'll be flying to Thailand and Nepal soon and when I go to Phuket, I have booked the 747 on the way and the A300 on the way back so that I get a good taste for all of the planes. I hope that it's okay with you if I use some of your pictures in a movie on Thai Airways that I'm making for Youtube. Your pictures were spectacular and very depictive, if that's a word. Thanks! I just found ur page. I have been on some types of passenger planes, but somehow I kinda like a300-600, don't know why. I think it is pretty quiet, and all landings I have experienced with a300-600, very smooth. I booked a one-way ticket from BKK to CNX and my flight will be operated on A300 as well. Great to see your pictures of the cabin and lavatory. I realize I don't get seat assignment for domestic flight. I'll have to stop by the transit desk after I touch down from HKG on Cathay.